Seca 710 Mechanical Column Scale with Waist-Level Beam offers more of everything, higher precision, advanced convenience and greater versatility. 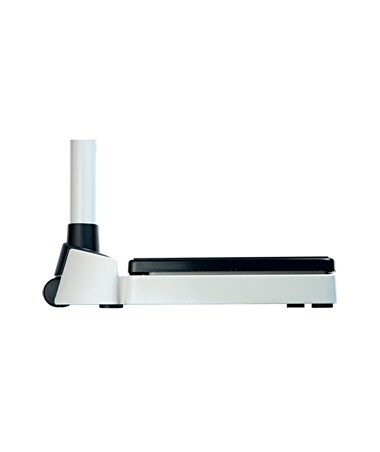 Like all Seca scales, 710 model is designed to be robust, simple in use and highly efficient providing a reliable weighting platform for a wide range of patient groups. Reliable mechanics, independent of the surrounding conditions is always ready to operate. The Scale has been designed to meet the needs of many patients groups including overweight or obese users and different medical sectors like general and internal medicine, gynecology and nutrition consultation. The advanced weighting platform design features a low-level, broad, flat construction that provides easy step-on access and ensures secure foothold. Enlarged tread area and waist-level beam provide more space for tall or big users and pregnant women. The sturdy unit contraction incorporates a cast-iron base that easily withstands a weight load of up to 420 lbs/ 200 kg. The fine 1/8 lbs/ 50 g graduation promotes accuracy and allows precise monitoring of even slightest changes in weight. 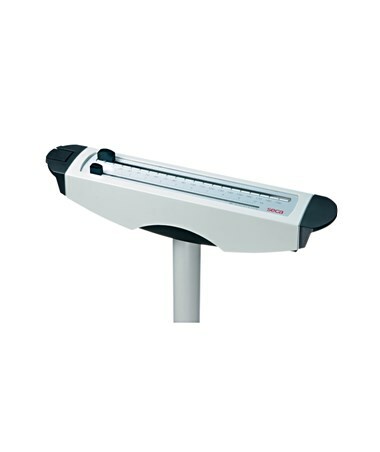 To ensure advanced operation convenience the Scale features an eye-level beam with large, contrast color numerals, both ensuring that the result can be read off comfortably. High quality coating ensures scale print longevity as a part of an indestructible mechanism. To ensure that the Scale construction is in line with its weighting mechanism, a special coating has been used to protect the inner parts from any corrosion processes. This measure ensures years and years of precise weighting. In addition, the Scale is compatible with optional Seca 220 Height Rod that can be easily mounted to the unit column and helps exert height measurement in one easy step. Seca 710 Scale does not require power and will work anywhere. 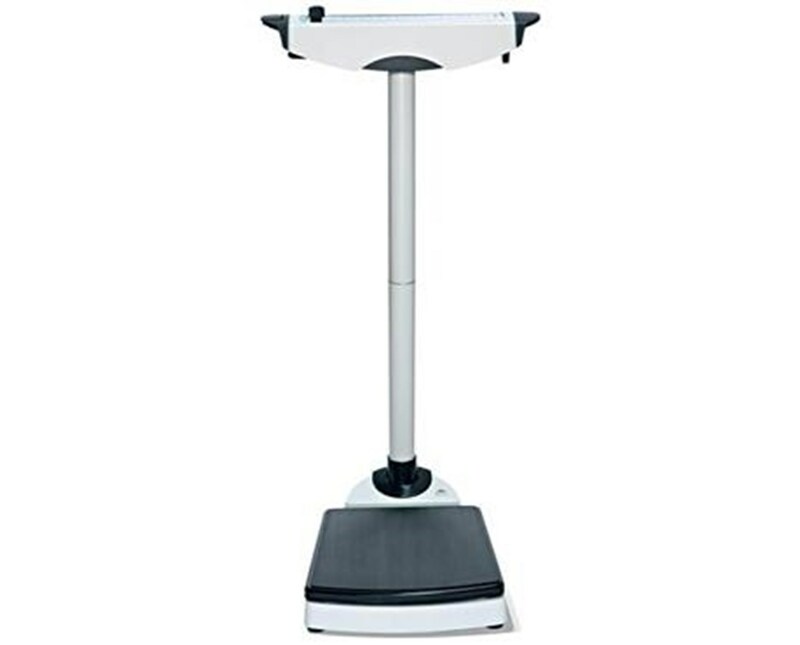 To get it exactly where it is needed, the Scale features a compact constriction combined with integrated transport castors that ensure a truly excellent portability. To purchase 710 Mechanical Column Scale simply click “Add to Cart” and complete your online order in a few easy steps. Platform 13.2" x 3.1" x 13.6"
Overall Measurements 19.8" x 40.2" x 20.5"